The famous Andromeda Galaxy (Messier 31) is our nearest large neighbour galaxy at a distance of about 2.9 million light years. Together with its companions (including M32 and M110, two bright elliptical galaxies) and our Milky Way and its companions, M31 forms the Local Group of galaxies. The diffuse light from Andromeda is caused by hundreds of billions of stars that compose it. The distinct stars that surround Andromeda's image are actually stars in our own Galaxy that are well in front of the background object. ì Click on the image to open a high resolution version. 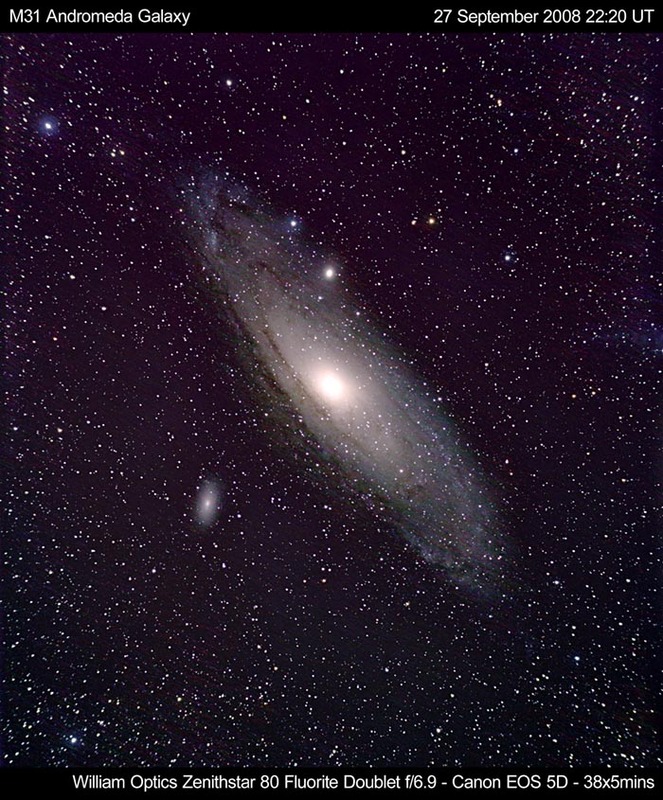 Taking this image of M31 from light polluted London proved to be a real challenge. 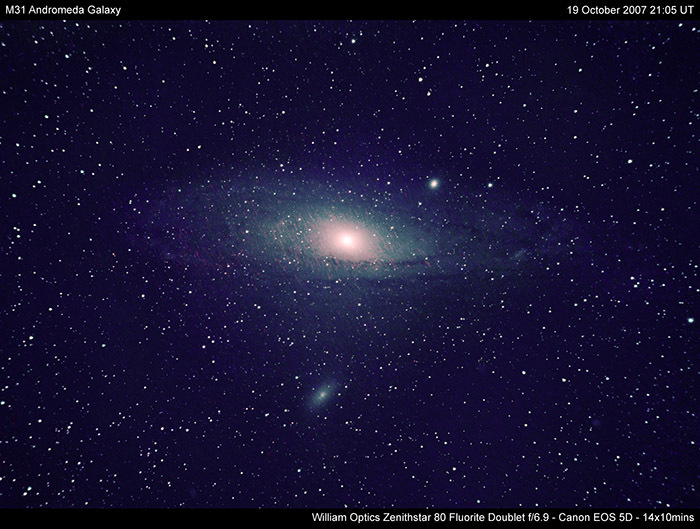 Despite the use of a sky glow filter (Astronomik CLS filter), a total exposure time of 2:20 hours produced only some of the details expected to be attainable from a dark site. I look forward to revisiting this fantastic object from a dark site soon.